Home > Shop > Beautiful pink color glass smoking pipe for weed use. Beautiful pink color glass smoking pipe for weed use. New handmade Beautiful 4.5" long. pink color glass smoking pipe for weed with free smoking pipe screens and free shipping US only. 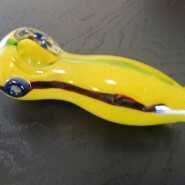 Beautiful handcrafted glass smoking pipe for all. made with solid glass mix and amazing light pink touch to it. made with organic glass mix to assure happy pipe smoking experience. lots of love and care. to all 420 pipe smokers here and over the world. try me now!